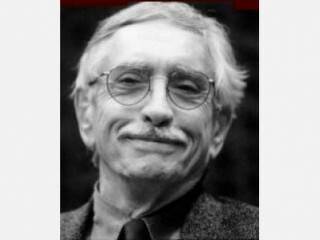 Birthplace : Washington, D.C., U.S.
Edward Franklin Albee III, born March 12, 1928 in Washington, D.C., United States is an American playwright best known for Who's Afraid of Virginia Woolf?, The Zoo Story, A Delicate Balance and Three Tall Women. His works are considered well-crafted, often unsympathetic examinations of the modern condition. His early works reflect a mastery and Americanization of the Theatre of the Absurd that found its peak in works by European playwrights such as Jean Genet, Samuel Beckett, and Eugène Ionesco. Younger American playwrights, such as Pulitzer Prize-winner Paula Vogel, credit Albee's daring mix of theatricalism and biting dialogue with helping to reinvent the post-war American theatre in the early 1960s. Albee continues to experiment in new works, such as The Goat: or, Who Is Sylvia? (2002). Playwright Edward Albee stood out in the midst of what many critics saw as a dreary period for American theater in the 1960s. His one-act plays The Zoo Story (1960), The Sandbox (1960), The Death of Bessie Smith (1960), and The American Dream (1961) were critical and commercial Off-Broadway successes, and then he impressed everyone with his first full-length play, Who's Afraid of Virginia Woolf ? (1962). Starring Uta Hagen and Arthur Hill as Martha and George, it ran for 644 performances on Broadway and was launched on an international tour. His reputation was further enhanced by his 1962 stage adaptation of Carson McCullers's The Ballad of the Sad Cafe, which opened on Broadway the following year. After Who's Afraid of Virginia Woolf ? Albee was the most sought-after playwright in America: he took part in an Off-Broadway production of Ugo Betti's Corruption in the Palace of Justice in 1963 and was said to be working on two plays, a novel, and an opera simultaneously. The experience was a heady one for a young playwright whose first work had appeared only five years earlier. Before that, he had attended various private schools and college (without graduating) and had worked at odd jobs. Indeed, it appeared as if his youthful promise had been exhausted in the early 1960s, a perception negated in part by the successful 167-performance run of his play Tiny Alice from 1964 to 1965 and by A Delicate Balance (1966), hailed by many as the outstanding American play in 1966 (it received the Pulitzer Prize for drama) but criticized by several observers. It fared better, however, than his dramatization of James Purdy's novel Malcolm, which appeared early in 1966 and was withdrawn after seven performances. With plays such as Box (1968) and Quotations from Chairman Mao Tse-Tung (1968) Albee was identified with the theater of the absurd, whose vogue helped his reputation somewhat. Despite writing two additional Pulitzer Prize-winning plays since the 1960s, his popularity has never been as high as it was in the early 1960s. View the full website biography of Edward Franklin Albee .